In Alabama, the best industrial insulation and coatings contractors are those who get the job done right, on time and on budget. 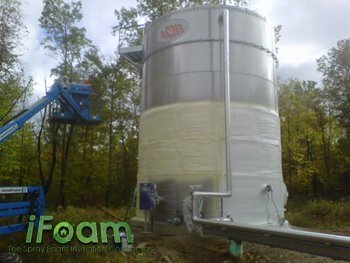 iFoam, LLC has the experience and pricing to deliver exactly that. Looking for storage tank linings or exterior coatings to protect and insulate? Our Polyurea coatings do both! Call: (334) 380-9550 today. Whether it’s for waterproofing, abrasion resistance, corrosion protection or just plain aesthetics, we get the job done properly and for less than anyone else. When it comes to your equipment, piping and facilities, safety and performance are always a top concern. You want the best materials and professional installation whenever any work needs to be done in these areas. Hiring the best industrial insulation and coatings contractor doesn’t mean sacrificing your budget. Almost anywhere there is a need to protect or insulate an area or item from abrasion, corrosion, chemicals, liquids or exposure, we can do it. One of the most commonly used coatings for industrial purposes in Polyurea. This elastomeric coating is known for its amazing adhesion properties to almost any surface. It can be used as a lining or an exterior coating as well. Highly resistant to chemical spills and abrasions caused by foot traffic or course materials, it is a great choice for most projects. As a seamless industrial coating, the ability for it to waterproof is unmatched by any other product. Additionally, it contains no VOC’s, dries very fast and performs like a champ in virtually any climate. 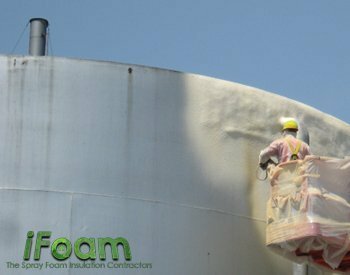 When it comes to insulation for storage tanks or other types of industrial applications, closed cell spray polyurethane foam (SPF) is tough to beat. Its ability to regulate temperature, seal-out water and air and add structural rigidity without adding substantial weight is impressive to say the least. Spray foam insulation does more than just protect the interior; it shields the exterior from the extremes of climate and location. On top of the surface, we apply a nice even layer of protective coating specific to the function it needs to have. Usually this is either a high-solids silicone, elastomeric or Polyurea type coating. 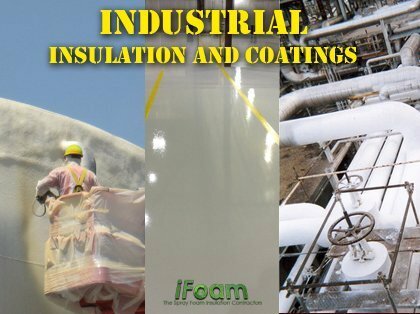 We apply industrial insulation and coatings for buildings, storage tanks, piping and flooring.